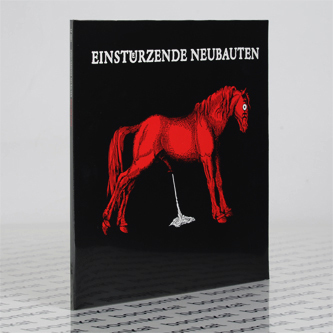 *Vinyl Reissue* "This is the fifth album by Einstürzende Neubauten, originally released in 1989, now remastered. Highly energetic and possessed of a certain level of danceability, Haus Der Lüge was perhaps the most accessible for the band so far in terms of straightforward industrial-rock, with less grinding experimentation. However, this album is far from any sort of mainstream convention, with some of the most convincing alchemy of the best of the group's sonic clang, combined with some of the most captivating singing by Blixa Bargeld yet. The title track is a theatrical chug with the sounds of breaking glass, strings, and a strident vocal line, and "Schwindel" is a gentle, contemplative, almost spiritual drone-piece with jangly guitars, the quiet chime of wood tapped on bowls, and ascendant vocal chants. This album showcases all the best aspects of the band's musique concrète experimentation reigned in by impressive song-structure that doesn't diminish any of Einstürzende Neubauten's conceptual or ear-bashing impact."